AmTech International supplies high quality drivetrain components to manufacturers throughout the United States, Mexico and Canada. 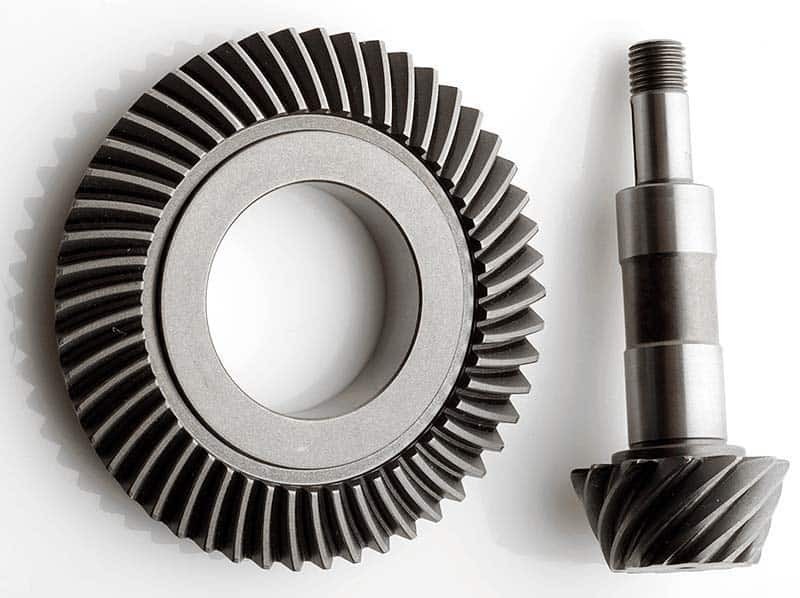 These competitively priced OEM ring and pinion gear sets are manufactured in a variety of customer specified tolerances and ratios for many types of applications. By having experienced engineers, machinery and inspection equipment we strictly enforce TS16949, ISO9001, QS9000 and ISO14001 standards in the ring and pinion industry. These pinion gear sets are designed and engineered to the highest quality specifications for use on the street, off highway or on the track. AmTech International ring and pinion sets are perfect for stock replacement or gear ratio changes. We are the trusted choice for ring and pinion manufacturers World wide. More than just ring and pinion gears manufacturing, we can produce differential kits, transmission parts and transfer cases as well as replacement axle shafts. The combination of materials, heat treating and cut geometry allows for a gear set that has ten-times the life of an aftermarket gear set. Along with AmTech International’s shaft manufacturing capabilities, there simply isn’t a better value in drivetrain components. OEM customer differentials are produced and assembled to the high quality standards and tolerances that manufacturers require. Differential case assemblies are designed and tested for each application and provide the lowest quietness possible.